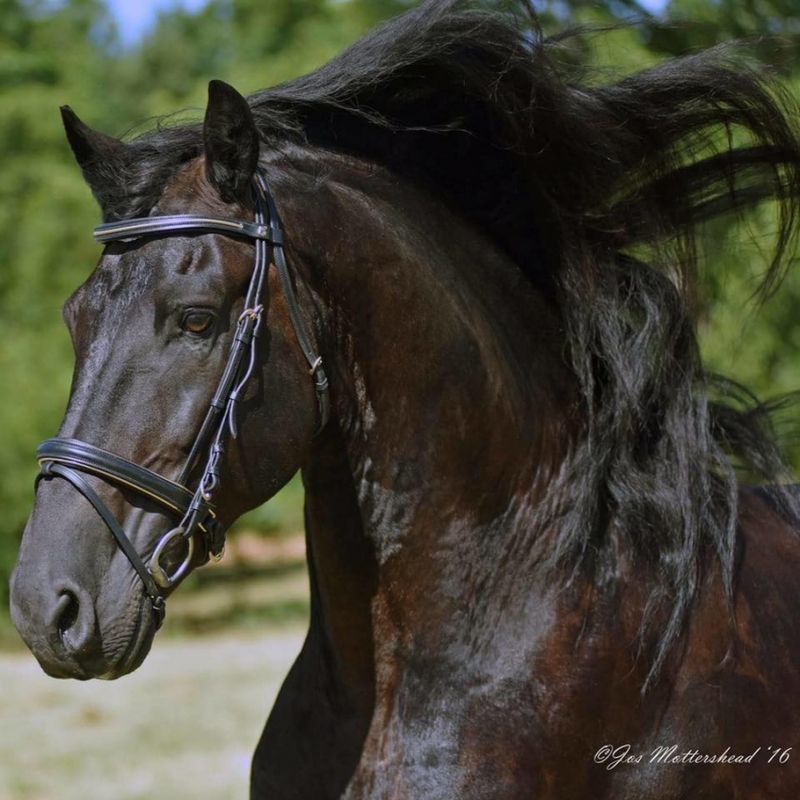 Jan [Ya-wn] is a 16.2 hand, 2002 imported Dutch Friesian stallion by Brandus 345 x x Natasja E.
He was rated 1st premium by FPS in the Netherlands, and is scheduled for a keuring in the United States this next season, as his previous owners never pursued this avenue with him. However, we are confident he will excel and his lack of activity within organizations such as FHANA was no fault of his own. 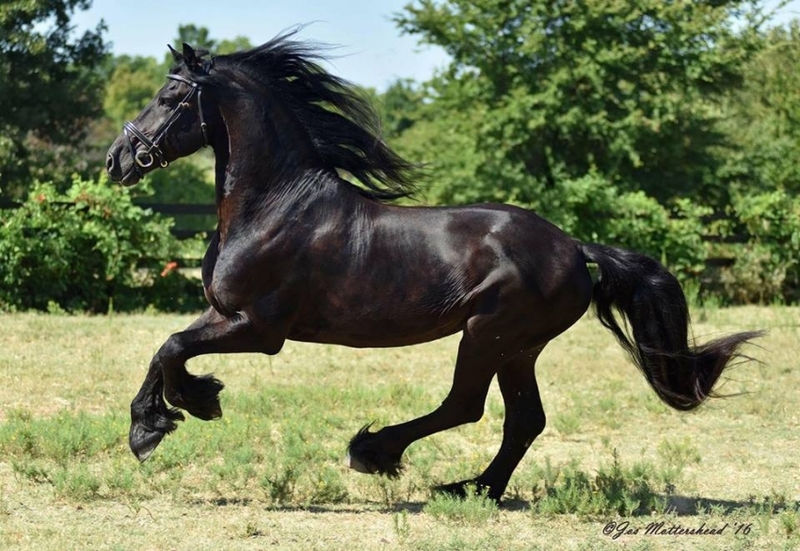 &#8203;He is also registered with The American Friesian Association, Friesian Heritage and Sporthorse International, and FHANA. He is certified with the USDF and has a 4 year old in-hand with 70.85 points, take reserve champion. He is set to enter in more shows within the following year. 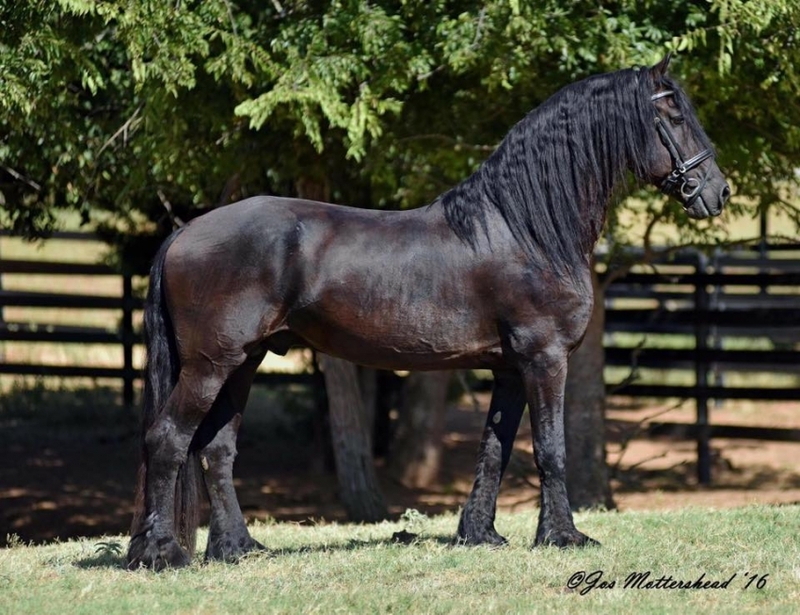 Jan produces amazing foals with both purebred and select crossbred mares; especially Morgan, Quarter Horse, Arabian, and Thoroughbreds, to name a few. His offspring have gone on to do extremely well in dressage and many other events and disciplines. 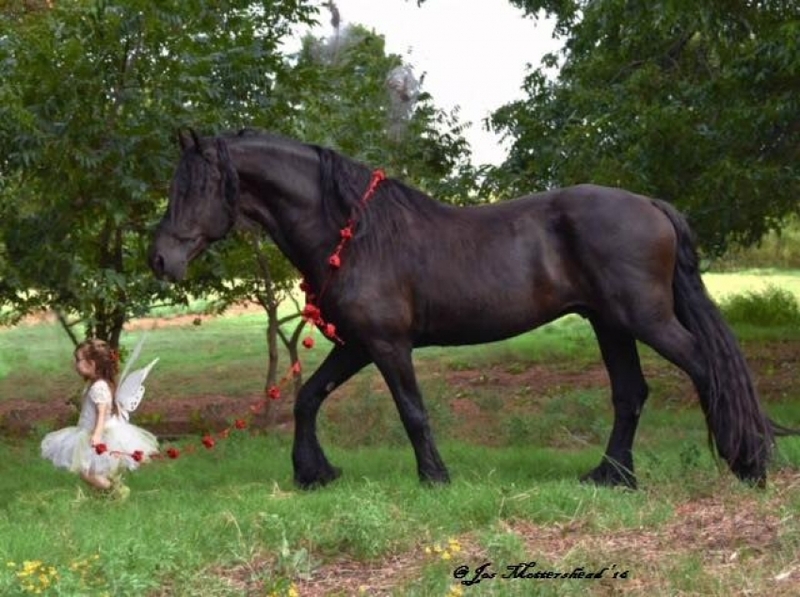 Like him, they display a kind and sweet disposition as well as natural smooth gaits and talent. I am interested in learning more about Hertog Jan v.d. Paddensteeg.